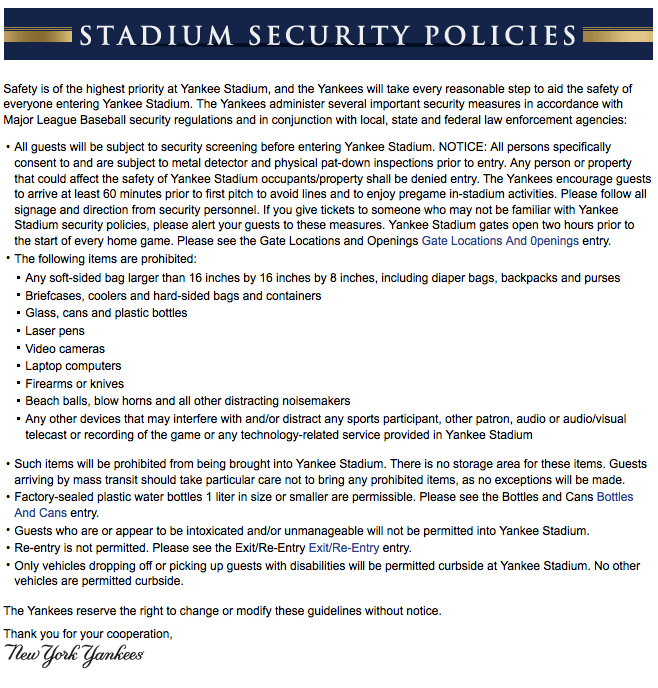 SpaceKateGal confirmed last week that iPads are not allowed in Yankee Stadium. The device apparently falls into the laptop computers category as depicted below in the Stadium Security policies write up. 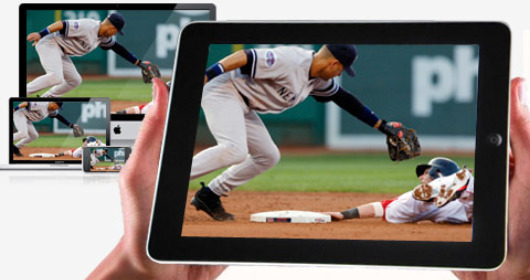 The iPad rule is probably at least partly relevant to the MLB’s notoriously stingy copyright rules. The organization is famous for trying to pull user generated baseball videos off of YouTube and they have also cracked down on Twitter usage. 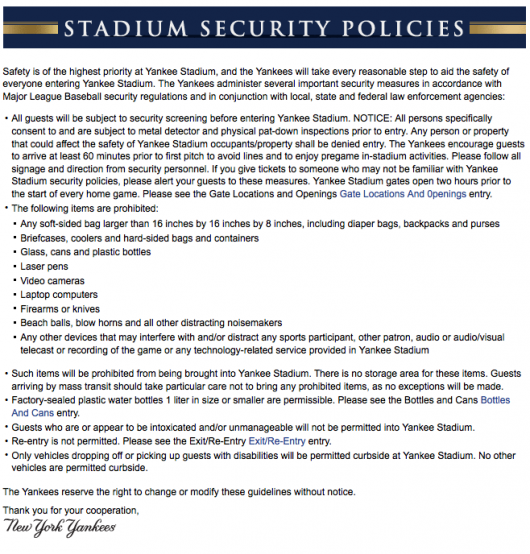 Will their heavily regulated explicit control really make a difference for baseball fans? Tell us what you think in the comments section.